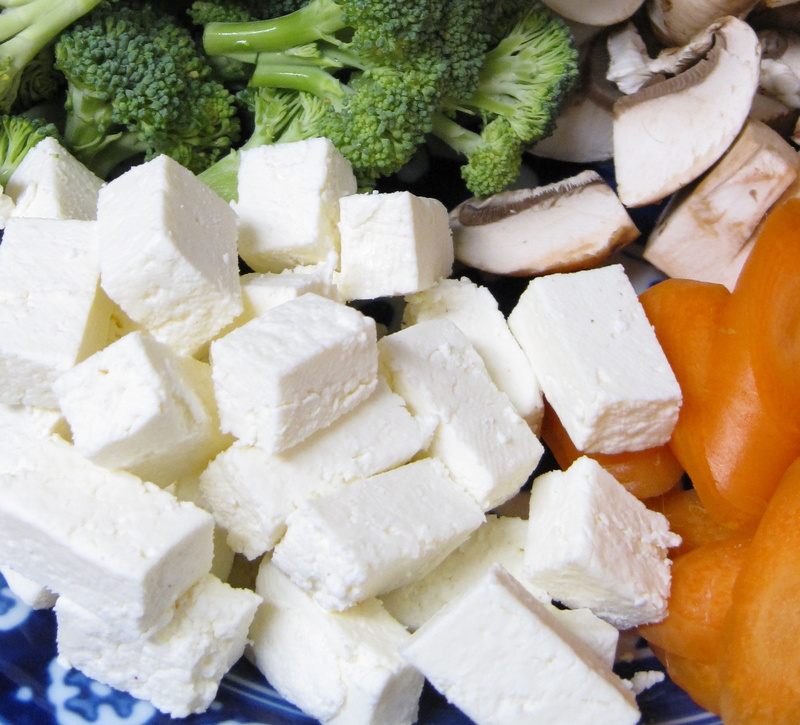 If you’ve never made paneer before, don’t be intimidated. It’s really easy, and as far as I can tell, it’s impossible to screw up. It takes a little planning since you need to be sure you have cheesecloth, but otherwise the only ingredients you need are milk and lemon juice (or white vinegar), and the only equipment you need is a big pot and a colander. I used this recipe, which calls for 10 cups of milk for ¾ lb. of cheese. Be sure to use whole milk. I have made paneer with 2% milk before and didn’t end up with much cheese at all. The process is simple. Just boil the milk, slowly add the lemon juice, cook for a couple minutes and then let cool in the pot for 10 minutes. Next, pour the milk into a colander lined with cheesecloth. 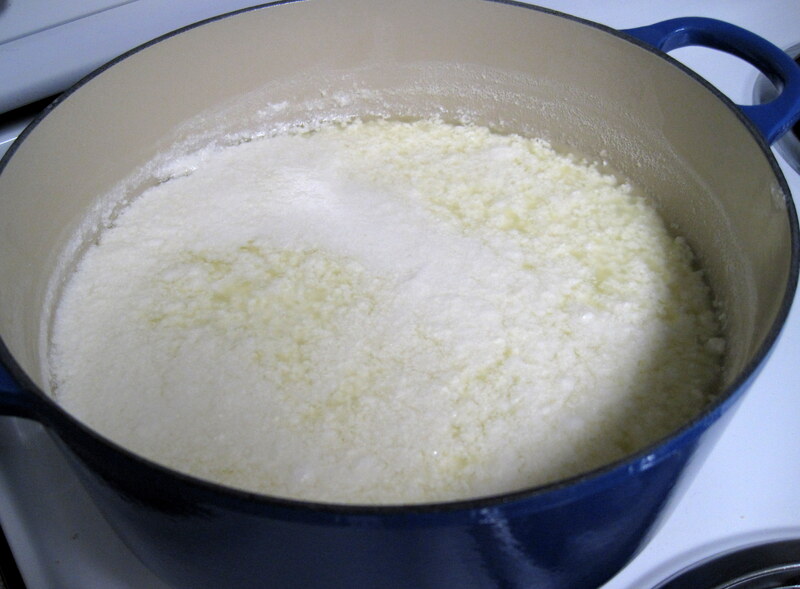 Squeeze out as much liquid as you can, and then put a weight on top to press the cheese into a disk. It should be relatively firm after an hour or so. The paneer is then ready to add to curries as is or you can fry it golden brown first. I’ve never managed to have a batch be firm enough to fry without falling apart. If you don’t want to use it right away, you can wrap in plastic wrap and keep it in the fridge for a few days. The Pakistani Imbiss made rice this way, and I think it’s much more interesting than plain old basmati rice. Make rice in the usual way, adding these spices at the beginning. For 2-3 servings, I usually add the amounts below. I take out the cinnamon stick before the rice is done since it can be too strong for such a small amount of rice. Go easy on the cloves too. Although it must seem totally wrong, that cheese looks like it would be great with poutine. I will try making it! Oh wow, curds are just paneer with salt added? I could halve a batch and make palak paneer one night, and poutine the next. I could even use the whey to make buttermilk pancakes Kristin recommends. Huh. Maybe I should buy a cow.